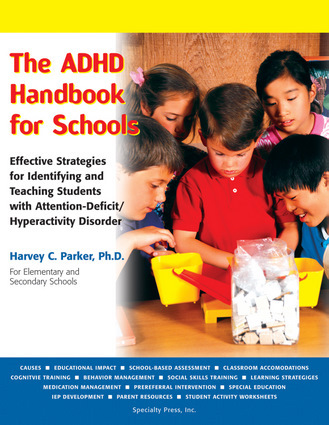 This guide explains Attention-Deficit/Hyperactivity Disorder (ADHD) in the scope of an educational disorder and offers ideas for teaching students with ADHD, as well as helping parents understand their children better and find the right assistance. The book details the characteristics, causes, and contributing factors of ADHD and gives an overview of treatments. Harvey C. Parker, PhD, is the founder of CHADD, the largest national organization assisting children and adults with ADHD. He has authored more than six books, including The ADD Hyperactivity Workbook for Parents, Teachers, and Kids and Study Strategies Made Easy. He lives in Plantation, Florida.